a graphic design of the legendary BLUE MAURITIUS on golden background. 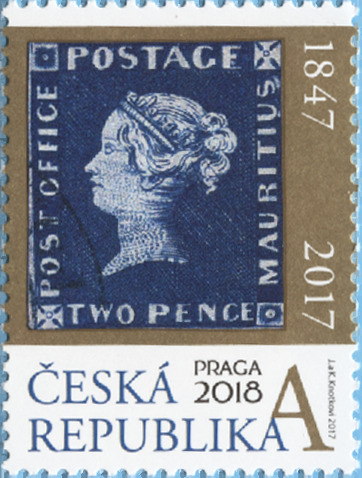 The red and the blue Mauritius Post Office are clearly the best known stamps to the general public in the world. 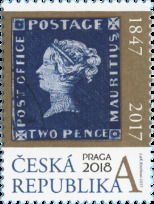 Only 12 copies of the blue version (2 pence) and 14 copies of the red version (1 penny) of the stamp exist in the world. They were issued on the Mauritius Island on 20 September 1847, each in the volume of 500. The inscription POST OFFICE makes the version more valuable.